Why have one when you can have two? This blouse by Liberty Sage is so great because it has two sheer chiffon layers! The black drapes halfway over the white in the front and dips in the back. I decided to tuck the white part into my itty bitty griddy flounce skirt to create an interesting look (more so from the side). Speaking of two in one, don't let my tote fool you! 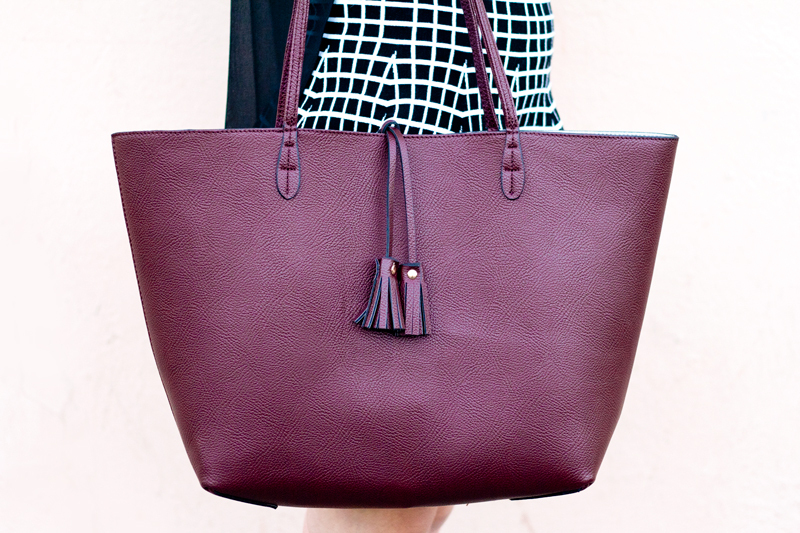 This tassel tote from Sole Society is reversible!!! 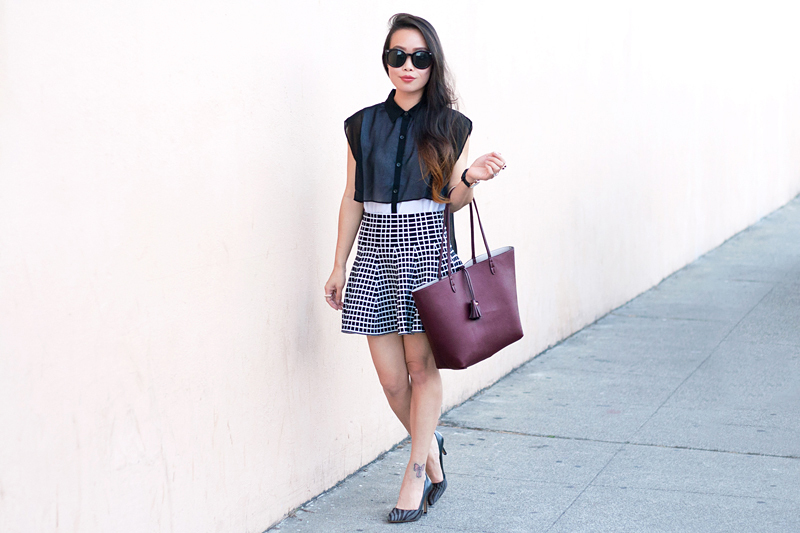 Burgundy on one side, taupe on the other! Best invention ever! 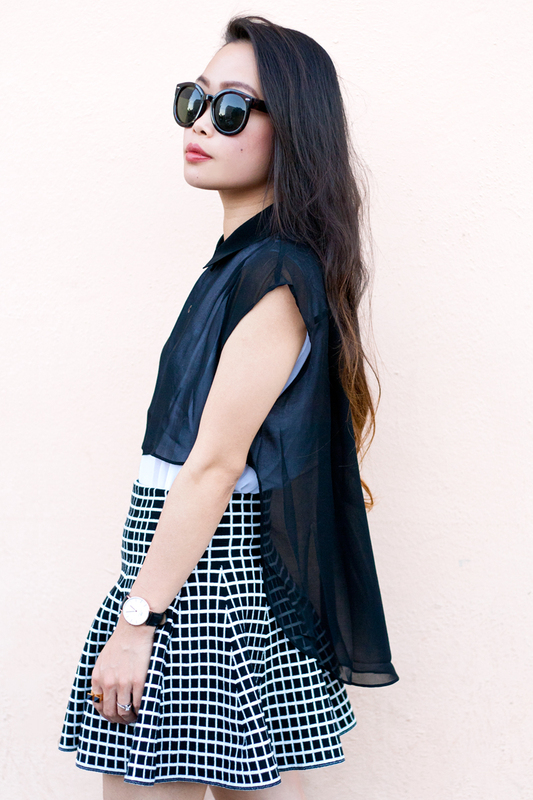 Double layered chiffon blouse c/o Liberty Sage. 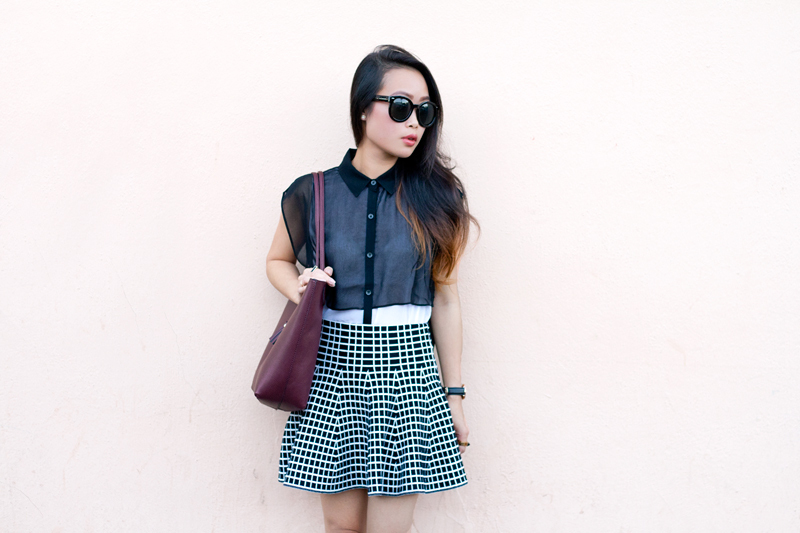 Grid patterned trumpet skirt c/o On Sixth Cloud. 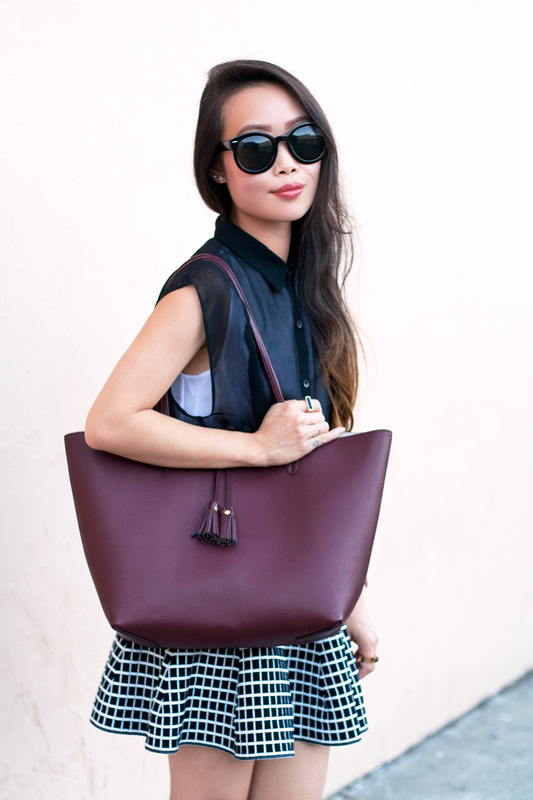 Campbell reversible tote c/o Sole Society. Dianna zebra calfhair leather pumps c/o Sole Society. Double pyramid gold & onyx ring by Wanderlust + Co c/o Rocksbox. What the heck, a reversible bag?? Genius! wow the bag es very beautifull. LOVELY!!!! I´m Marta.. My blog is Esta de Moda-Marlafra. I´dont speak english very well sorry, but your blog enter for the eyes.